ground, gardens and cultivated fields. 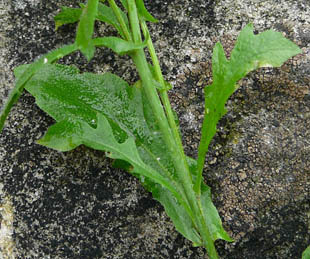 (able to rapidly colonise bare soils). 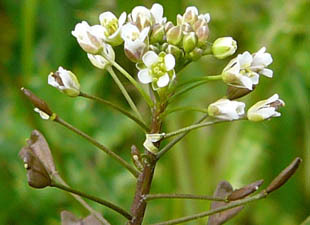 Shepherd's-purse is a native, annual, herb growing up to 25cm. 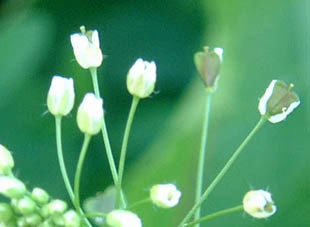 It has small white flowers (2-3mm), each with 4 petals. 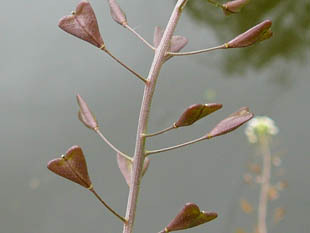 The pods are flat and triangular. 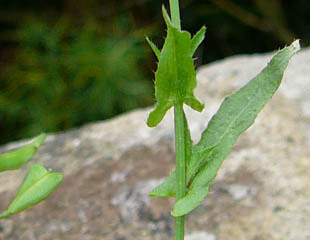 Stem leaves are wavy edged and clasp the stem.